AARAMBH FOUNDATION TRUST is located in New Delhi Delhi . AARAMBH FOUNDATION TRUST is registered as a Trust at Delhi of state Delhi with Ngo unique registration ID 'DL/2014/0082278' . 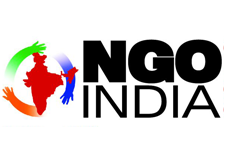 The NGO registration is done by Sub-Registrar with registration number 963 on the date of 26-08-2014, Its parent ORganaisation is PaulFoundation. The Chairman of AARAMBH FOUNDATION TRUST is Rashmeet Katre and Chief functionary officer is Rashmeet Katre. Though we are newly registered, but have still worked in the area of education, up- liftment of the underprivileged and tree plantation.